While we know that Mamoru was pretty different between the manga and the anime and that his alter-ego Tuxedo Mask wasn’t spared from changes, it’s also worth taking a look at how one of the more notable traits about Mamoru – his amnesia – was treated between the two versions. As happens with a great majority of the cast of Sailor Moon, it all starts with the tragic death of Mamoru’s parents, when he’s six years old (according to the manga, on his sixth birthday). As the story goes, he and his family get into a car accident and he’s the only survivor, though he’s been left with amnesia. This is where I think things get interesting. Let’s stop for a moment and think about what this amnesia means for a bit. Though we usually talk about amnesia as one big, abstract thing, there are actually multiple forms. What is typically referred to in the Sailor Moon series is the form where, due to some form of emotional or physical trauma, you lose your memories of events leading up to it. This is known as retrograde amnesia.1 While this is made out to be a big thing, when you think about it, it actually has very little impact on him. If he lost all of his memories at six years old and, at the time of the series, he’s 16 or 18 years old (in the manga and anime, respectively), that would mean that he’s spent more years gaining new memories than he’s lost. In fact, due to a phenomenon known as childhood amnesia,2 most people don’t remember anything prior to the age of three. Now, I don’t mean to trivialize his hardship, but that means that Mamoru had 10-12 years to rebuild and make new memories to replace the three years of his life that he forgot. I don’t know about you, but I’d say that it’s actually a relatively minor issue, in the grand scheme of things. 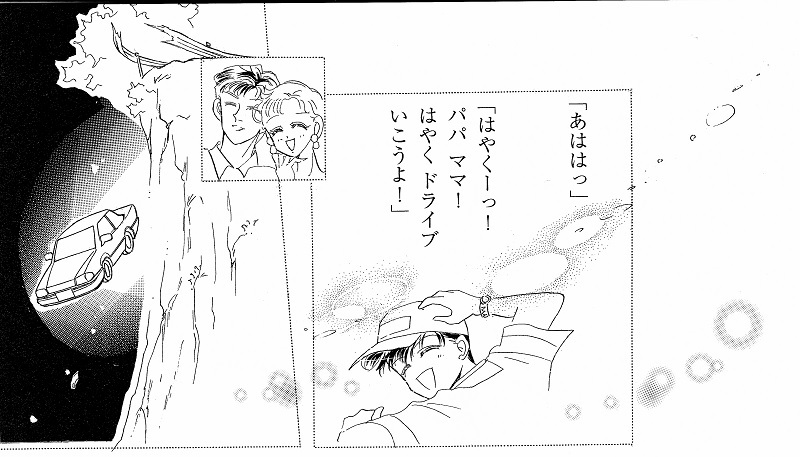 In fact, manga Mamoru doesn’t seem terribly affected by this other than mentioning concern over whether he really is Mamoru Chiba and that he has dreams of a woman telling him to find the Silver Crystal.3 What about anime Mamoru, then? Unfortunately, from what we see throughout the anime, he’s much worse off here. Not only does he suffer amnesia from before the accident, he also seems to suffer from occasional bouts of what’s known as anterograde amnesia,4 i.e., losing track of time and failing to create new memories as things happen. This seems to occur in conjunction with his transformation into Tuxedo Mask which, unlike in the manga, he’s actually unaware of his alternate identity entirely. Read also: What is Sailor Jupiter's True Element – Lightning or Wood? In Mamoru’s big reveal as Tuxedo Mask in the anime,5 upon sensing that Sailor Moon is in trouble trying to save Naru from Nephrite in his costume as the Tuxedo Mask imposter, Mamoru suddenly suffers from a massive headache as he’s walking down the street and drops to his knees before transforming into Tuxedo Mask. So it seems that all of his transformations into Tuxedo Mask are not only happening without his knowledge, but he’s also left without any memories of it either. I think it’s definitely interesting to see how both the manga and anime took the impact of the accident on Mamoru to completely different places. While it affected his sense of self in the manga (his sense of a missing past), more than anything else it seems to have caused a rift inside him in the anime, leading to the creation of Tuxedo Mask as a separate identity and his loss of memories during his transformation. Now if only someday someone would explain where all that money came from! ← How Different Was Tuxedo Mask in the Anime and Manga? I guess I just was never sure what they were going with using the “amnesia” angle. =p I mean, you can still have visions of women telling you what to do without having “forgotten” your (whole three years of…?) past life. Have to say, though: parents do NOT do well in Ms. Takeuchi’s universe. Deaths everywhere! Did he really not know he was turning into Tuxedo Mask? I see where you’re coming from. But I don’t think there’s enough evidence to say he was unaware of his transformation. Especially when Usagi reveals herself as Sailor Moon, Mamoru announces he is, in fact, Tuxedo Mask and transforms before her eyes. The episode you’re referring to comes later in season 2. By then, he’s well aware of who he is, I believe. I think it’s pretty clear in the anime that Mamoru had no idea that he was Tuxedo Mask, and that he learns of his true identity in episode 26. So up until episode 26, we can definitively say that he didn’t know who he was. Sorry if I didn’t make that clear! Could it be that he just didn’t understand why he was turning into Tuxedo Mask? Like, “Ah, I see, I’m supposed to be this guy. This is who I’m meant to be.” At least, that’s how I interpreted it. Because, as Mamoru, he’s still going around scoping things out. For example, when they’re riding that kiddie train, and Usagi calls him out on riding it by himself. What other reason would he have for doing that except he knew it was suspicious and was checking it out? He also is checking out the jewelry shop in the first episode looking for the Silver Crystal. If he didn’t know he was Tuxedo Mask, why was he always conveniently hanging around dangerous locations? I’m willing to believe that this is a possibility. But this is actually the first place I’ve ever heard this interpretation and I’m having trouble following it. It could also be one of the cultural Japanese ways of speaking that sometimes doesn’t translate well? Also, I totally got the episode wrong in my previous post. You’re right it was in season one. I guess my point of view is that we have proof pointing to him not knowing he’s Tuxedo Mask (e.g., the statement in episode 26), but nothing really pointing him knowing that he is. He drops down in pain, holding his head when we first see him transform and he complains about it like it’s a sudden onset headache, which implies that he’s not consciously becoming Tuxedo Mask. As for always being around dangerous places… I mean that’s the same issue Naru has, so I can’t say that it’s really solid proof. If anything, you could argue that he subconsciously knows he needs to be there, which is what brings him to places like the theme park. =p Or that hit to the head really affected him worse than we all thought? I can’t change your mind, I suppose, but the Japanese is pretty clear that he came to the realization that he’s Tuxedo Mask. Regarding the final point of him checking out the jewelry shop in the first episode, I admittedly only skimmed it just now, but I can’t find any scene where he does that. He bumps into Usagi, they argue, and then once she stomps off he stops and narrows his eyes at the store sign, but that’s it. If there’s another scene you’re referring to, though, I’d be happy to check! I mean, I guess it’s a legitimate interpretation. I never really saw it that way, but it could also be because it never crossed my mind. I guess I’ll have to just re-watch the early episodes again and take a closer look. Yeah, I was referring to the first episode. I thought he was hanging around the jewelry shop because, like the manga, he was casing the place. But, it’s possible he was just walking down the road. What about at the masquerade ball, though? Is he showing up as Mamoru in a tuxedo and a mask, or as Tuxedo Mask? There wasn’t a reason for him to be Tuxedo Mask because Usagi had not become Sailor Moon until after he showed up. Definitely not trying to be nit-picky. I’m just really curious about this because it threw me for a loop! 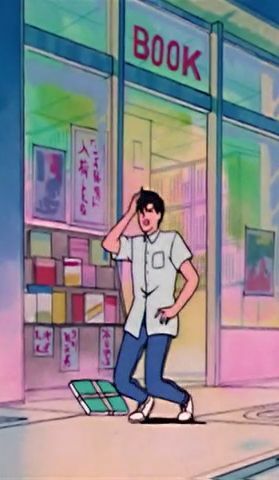 I try to keep my references in this blog to only official or first-degree sources, but I do have two Japanese Sailor Moon fan guides published in 1992/1993, and they both discuss and refer to Mamoru’s multiple personality and amnesia. You can find one of them here on Miss Dream (p. 111, “Q. 45 Is it true that Tuxedo Mask has split personality in the anime?”). While it’s by no means definitive, at the very least the theory has been around since the very beginning of the show! A more recent book, セーラームーン世代の社会論 (“A sociological look at the Sailor Moon generation”) also discusses this topic and the implications of his amnesia. As for the masquerade ball, I’ve always assumed it was Tuxedo Mask (and not Mamoru) there looking for the crystal and hoping to meet his princess (like Usagi, Rei, and Ami were hoping for). After all, there doesn’t seem to be an implied transformation after the fact. In the movie, he meets Usagi when he’s 6. But in the episodes, they have no clue who the other is, even after introductions? The movie seems to play out the memory of her giving him the rose like they had been in love since childhood, like it was a fairly moving memory, but why would they be stranger’s as teens? Of course, Usagi was a toddler…but..I don’t know, that scene just always made their time line seem odd. I never was able to fully integrate that movie into the general storyline. To be fair, if I met someone for only ~3 minutes or so when I was six years old, I probably wouldn’t recognized them ~12 years later either!